Bollywood star Salman Khan is fast gaining the reputation of being a stampede-trigger. His brief appearance at a public space is enough to send his fans into a wild frenzy. His appearance on Monday night at the Grand Cineplex for the premiere of his latest film, London Dreams, was no different. Dozens of fans pounced on the star and jumped over barricades to get closer to him. But Khan is unperturbed by it all. After surviving in the highly competitive entertainment industry for nearly two decades, delivering a string of hits along the way, Khan has now adopted a philosophical stand to being constantly accosted. "I don't react to it at all. It is here today, it wasn't there yesterday and it may not be there tomorrow. I try not to get carried away by it all. Also, it is painful for the old age," Khan says, chuckling at his own joke. But Khan, 43, is not worried about his advancing age. What got him talking was the fashion piracy that was invading his life. Unlike his signature look of T-shirts with the name of his charitable organisation — Being Human — emblazoned on it, Khan is wearing a mousy brown brawn-hugging t-shirt and regular blue jeans. "My sister has stopped making those T-shirts. The moment I appear in public with it, somebody takes a pic and before you know it guys are doing knock-offs and selling it in the market. They don't get the fact that I am trying to raise money with those T-shirts. You should put these guys in jail." A harsh verdict, one would say — considering Khan has spend a considerable amount of time behind bars. His run-ins with the law are many. From being sentenced to prison for hunting down endangered species of wild bucks (2007) and an alleged hit-and-run incident in 2002 where his Toyota Landcruiser ran over pedestrians in Mumbai — the charges are numerous. "I have been to jail. If I can handle it, they can handle it too," is his crisp argument. Though he is in no mood to elaborate, another subject that prodded him awake was his favourite sport, football. The recently-appointed sports ambassador for that game in India is eager to unleash a football fever in India. Many believe that his inclusion will nudge a cricket-crazy nation like India to follow football. "Just like cricket, I want to make football the religion in India. For this, I have to meet football icons in India and I have planned it in my mind," says Khan. "For football, it's all about the ball." Though this sentence sprang out of nowhere, the Wanted star adds, "For cricket, you need pads, bats and wickets. In football, you just need a ball… it's just football. Just play it." His simplistic view is typical Salman lingo. Said to be one of the most misunderstood stars of Bollywood, Khan courts controversy ardently. His break-ups and his fractured relationship with stars like Shah Rukh Khan are a source of relentless tabloid fodder. Though he is not willing to elaborate on these topics, he is surprisingly open when it comes to saying that he is yet to find a budding Salman in any of the younger crop of Bollywood actors. 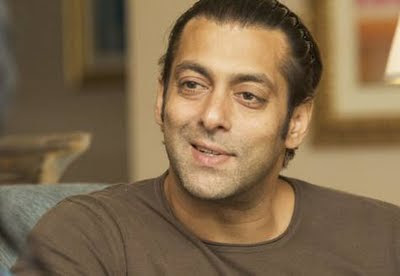 "I don't see anybody who is a young Salman. They are very serious, they are very hard working and they are always so politically correct. "They work on film, after film. I am not just about films, I do a lot of other things," says Khan. A major chunk of said "other things" might meander towards cultivating and maintaining friendships. "Friendships are a very important part of my life." London Dreams: "It is a different kind of film. I think after Sholay this is the only film where importance is given more to friendship than a love triangle." His character Mannu in London Dreams: "My character is loud, rustic and who enjoys life full throttle. He loves drinking, partying, womanising but he is very rustic at heart." Making Dubai his home: "I think it's a city which blends both east and west. I love coming back here because I can do a bit of partying. But I don't go to nightclubs much, we have private parties." His tip to budding actors: "Script is the king. I may be able to pull in the crowd on a Thursday, Friday or a Saturday — after that the script is the hero. No movie can do well, if the script is not good."